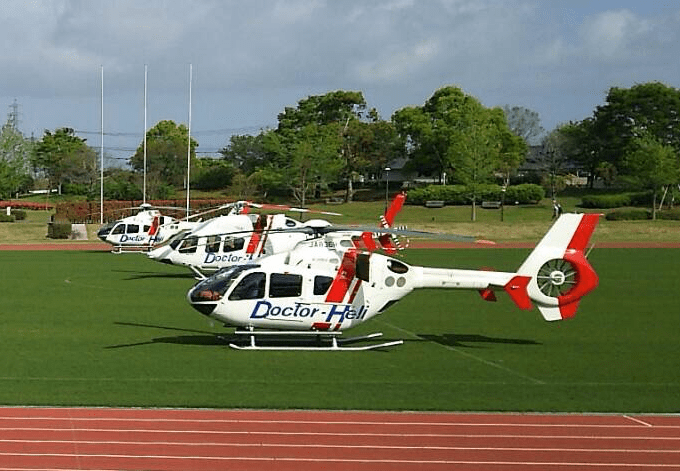 Position Monitoring System Adopted by Doctor-Heli in Japan – Weathernews Inc. In May 2018, Weathernews Inc. launched the Flight Watch pilot position monitoring service for Doctor-Heli aircraft in Saga, Oita and Kumamoto prefectures. This enables the operation control centers for all 52 Doctor-Heli aircraft throughout Japan to track their positions in real time. The service uses a portable position monitoring system, FOSTER-CoPilot, which was developed independently by Weathernews in 2012 as a solution to increase air-space coordination and flight control capability for all the aircraft gathered in the skies over Tohoku at the time of the Great East Japan Earthquake in 2011. The system is expected to improve safety and efficiency, even under normal circumstances, by enabling Doctor-Heli operators to check flight position and weather information together in real time. Weathernews has been providing aviation weather information since the inception of the Doctor-Heli system in 2001, and currently supports the safe operation of about 25,000 flights per year. Our goal in the near future is to implement FOSTER-CoPilot on drones and make commercially available a position monitoring system that allows the comprehensive monitoring of both manned and unmanned aircraft. This will help to ensure flight safety with the increasing number of drones flying in the same low-altitude range as the Doctor-Heli. Although many rescue aircraft arrived in the Tohoku region after the Great East Japan Earthquake, there were difficulties in maintaining airspace coordination and flight control because the wireless communication methods being used lost their connections once the aircraft passed over the mountains. This resulted in confusion with the location of the target site. In response to the strong demand for combined aircraft positioning information and weather information that arose at that time, Weathernews developed the proprietary FOSTER-CoPilot helicopter positioning monitoring system in 2012. This portable device uses Iridium satellite communication to enable full-time monitoring of positioning information, even in wireless dead zones. FOSTER-CoPilot was first introduced to Miyazaki prefecture's Doctor-Heli aircraft in 2012, and was gradually deployed in other prefectures. Later, as the results it achieved during disasters such as the Kumamoto earthquake were recognized, the service was adopted in Saga, Oita, and Kumamoto prefectures in May this year, culminating in the implementation of the FOSTER-CoPilot position monitoring system in all of the 52 Doctor-Heli aircraft in Japan. Position information for the aircraft with FOSTER-CoPilot installed is displayed together with Weathernews' weather information on FOSTER-GA, Weathernews' Go or No-Go decision support tool. In addition, they can display a unified view of the positions of aircraft other than Doctor-Heli, such as firefighting helicopters equipped with the D-NET system (JAXA), as well as police helicopters, drones, etc. equipped with FOSTER-CoPilot. The information is overlaid on FOSTER-GA, giving a comprehensive view of aircraft positions even during a large-scale disaster. Weathernews' aviation weather team provides observations 24 hours a day, providing the latest weather information to support safe and efficient flight management. The Weathernews helicopter position monitoring system is also extremely important in Saga prefecture where we provide emergency medical care support and Doctor-Heli service. Currently, Saga Prefecture has resource sharing arrangements with Fukuoka prefecture and Nagasaki prefecture, and the dispatch of aircraft to other prefectures has also become routine. Having the helicopter position monitoring system here will lead to more efficient emergency medical care, considering the situation of victims in cases where there are overlaps in the dispatch status and operating positions of helicopters from other prefectures. It also goes without saying that the service has proven effective in use during past disasters, and we are grateful for its completion.